When we moved, I treated myself to an espresso machine that lets me make fancy cappuccinos each morning. I saw no sense in having a coffee maker + espresso machine, so I got rid of our old coffee maker. But I didn’t account for one very important fact… I love my cappuccinos, but it’s summertime, in the south, and even though I moved a bit north, it’s still HOT! And since I have no coffee maker, I can’t keep a big jug of double-strength coffee in the fridge for iced coffees anymore. 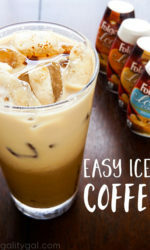 So when I had the chance to test the new Folgers Iced Café concentrates, I couldn’t pass it up – the timing was perfect since I was looking for a solution until the heat starts to die down. Tiny and portable, which means coffee on demand wherever! 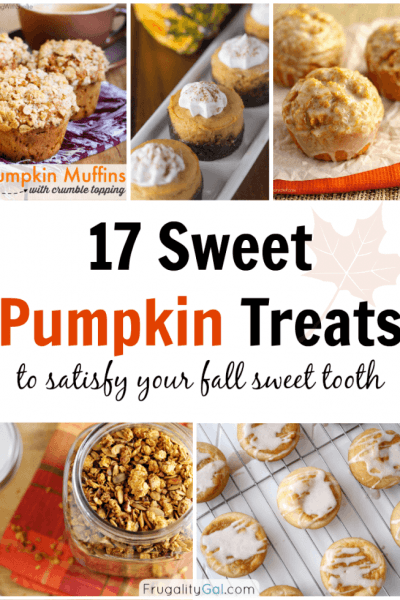 Already sweetened, so there’s no need to add additional sweetener (even though I do personally like to add a little stevia, but I tend to like my coffee really sweet). What attracted me the most is how fast I can make a cup of iced coffee. You just pour two squeezes into a glass of cold milk and stir it up. 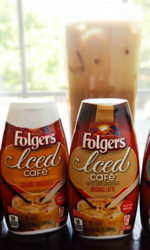 My husband and I have tried each flavor, and my favorites are vanilla latte and caramel macchiato (no surprise there!) and his go-to is hazelnut. And when I’m having a cup later on in the day, I’m prone to play pretend-barista and whip out my milk frother (best money I’ve spent!) 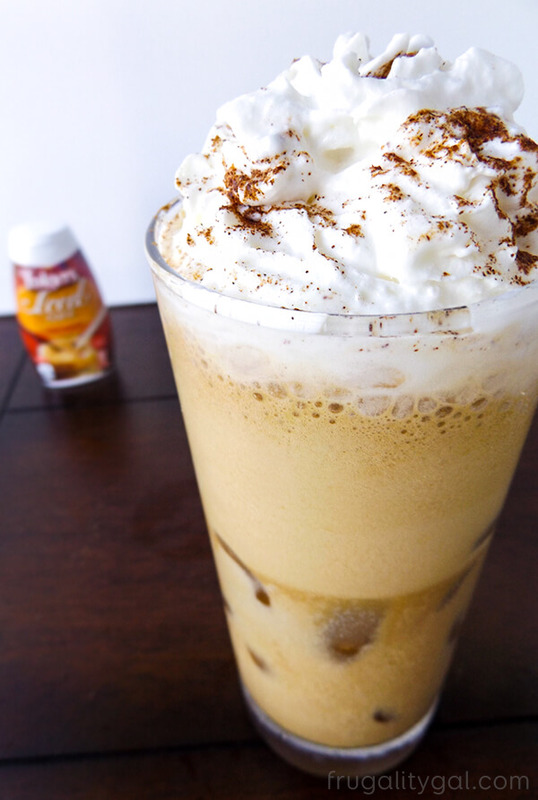 to make them resemble coffee shop drinks. So far I’ve used whole milk, almond milk, half and half and coconut milk coffee creamer to coffee-shop-up my lattes. My favorite mixture so far has to be half and half + whole milk. But close seconds are whole milk + almond milk, and almond milk + coconut coffee creamer. As you can see, I am a huge fan of layering! 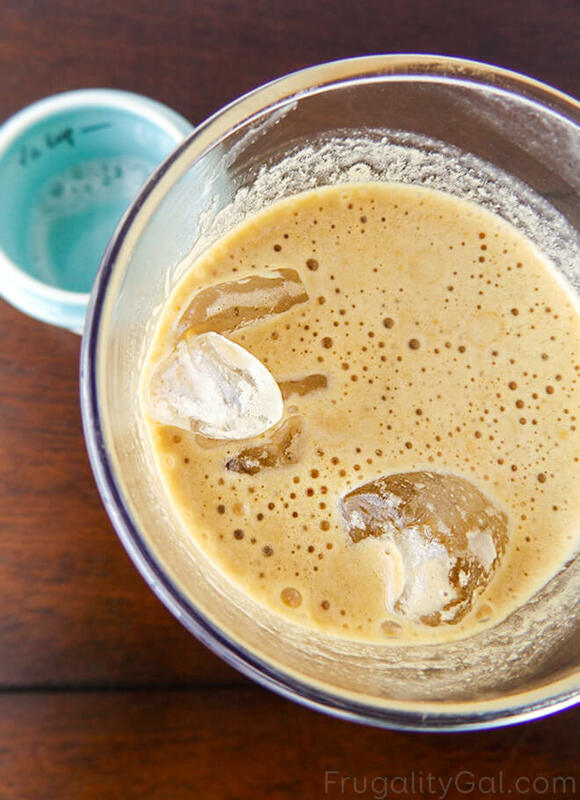 This coffee is literally made in minutes and is ready to cool you off on a hot morning! 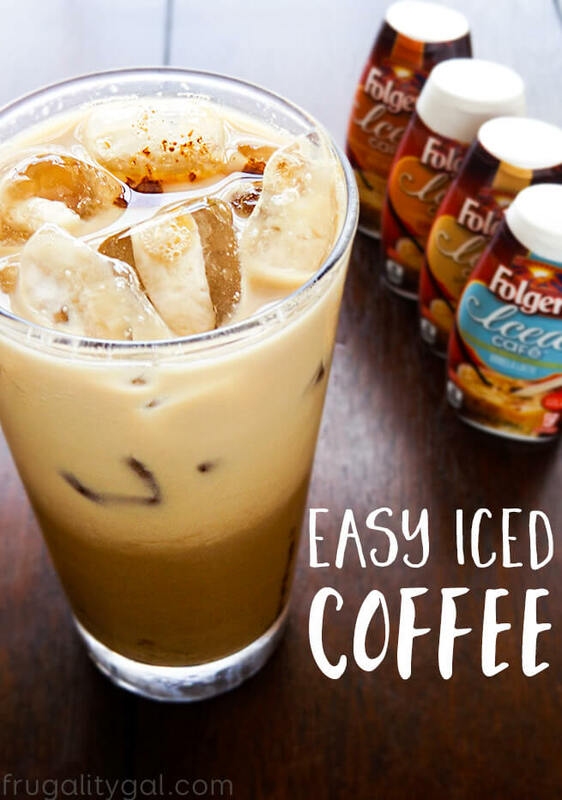 Pour coffee creamer in a glass and squeeze in the Folder's Iced Cafe. I stir it up with my milk frother. This is totally option but gives a nice texture. 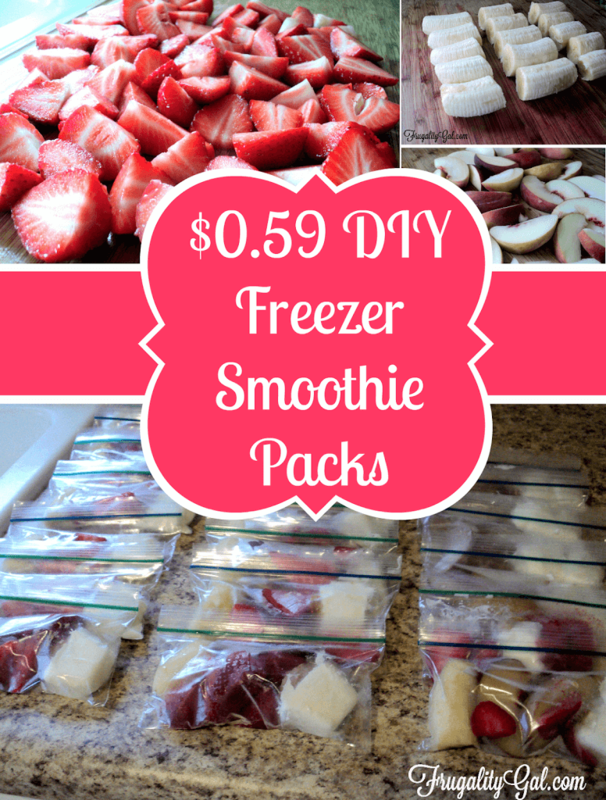 Layer some ice and pour almond milk over the top. Swirl again to combine everything. 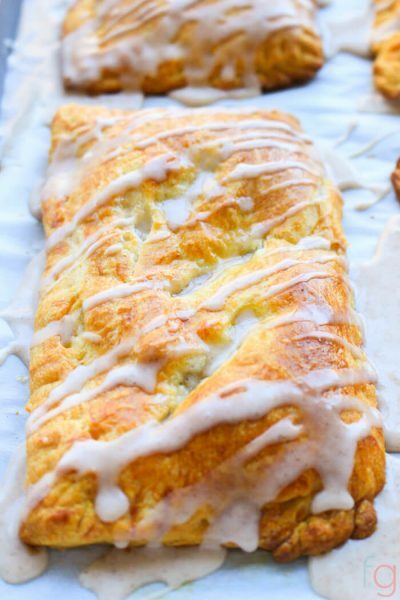 Top with whipped cream and a dash of cinnamon. 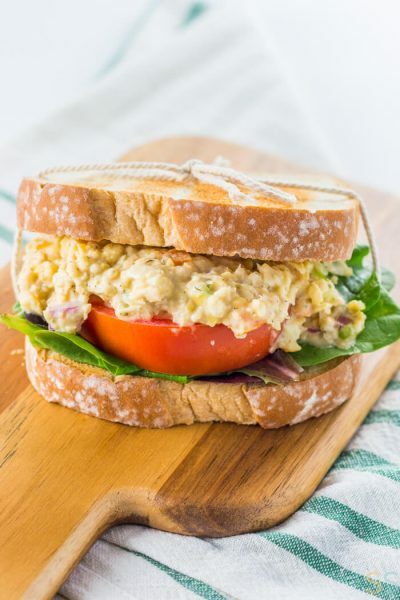 There are not nutritional facts in this post due to the nutritional content can't be counted for all items. I poured the coffee creamer into the glass, squeezed in my caramel macchiato, stirred it up with my milk frother (totally optional, but it gives it a nice texture!) 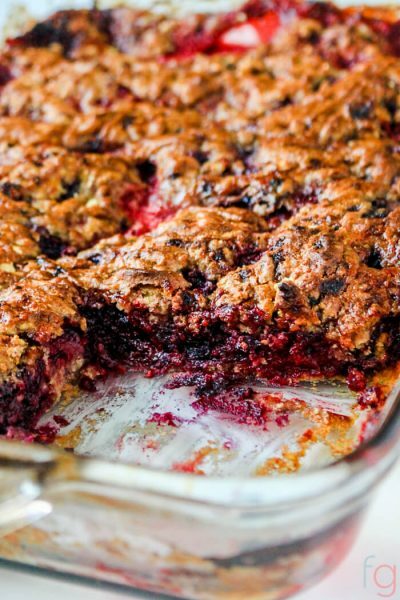 Next I layered in some ice and poured almond milk over the top. 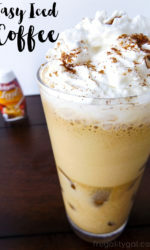 Then I swirled it around in the glass to combine everything together and topped with whipped cream and cinnamon. It gives it such a pretty effect! 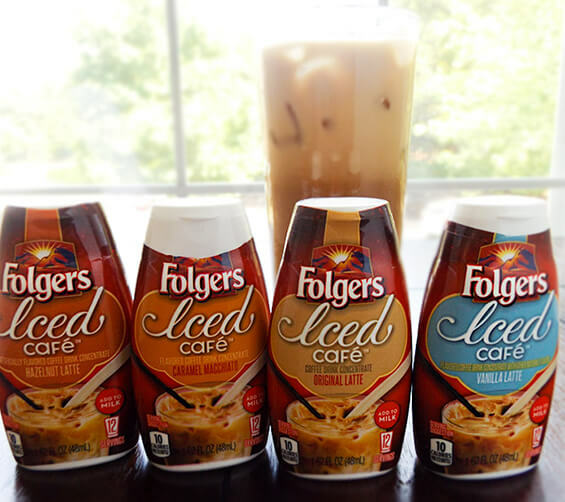 If you’re an iced coffee drinker, I’d love to hear which Folgers Iced Café flavor you’d like to try the most! I was super excited to try the caramel macchiato since it’s been my go-to order for quite some time!